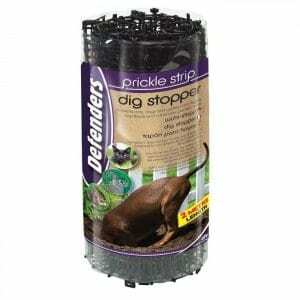 The Prickle Strip Dig Stopper from Defender is a nifty idea that uses tough plastic mesh with spikes on to deter cats and other animals from digging up your flower beds. Manufacturers Defender have good form in the cat repellent marketplace with the excellent and best selling Mega Sonic Cat Repeller and this looks another good weapon for gardeners to add to your armoury. The Prickle Strip is designed to be buried just below the surface either with a sprinkling of top soil or mulch so is pretty much invisible. The spikes are sharp enough to repel cats and other animals from walking over them but not so hard that they would do any harm to their paws. And should a cat actually manage to walk over them it certainly won’t be able to dig up the area. Here’s a video I made of the Prickle Strip being opened. The first thing is the size – it’s only 30 cm wide and 2 metres long so if you are wanting to protect a large area from cats then a much cheaper option would be to use chicken wire to keeps cats away although you can join multiple lengths together should you want to. The 30 cm width (that’s a foot to us old timers) is ideal for your borders and I assume that’s the thinking behind the size. Prickle Strip is also ideal for your large planters as it is easily cut to size with a pair Secateurs or scissors. The second thing you will notice once opened is the pegs that come with it are woeful. 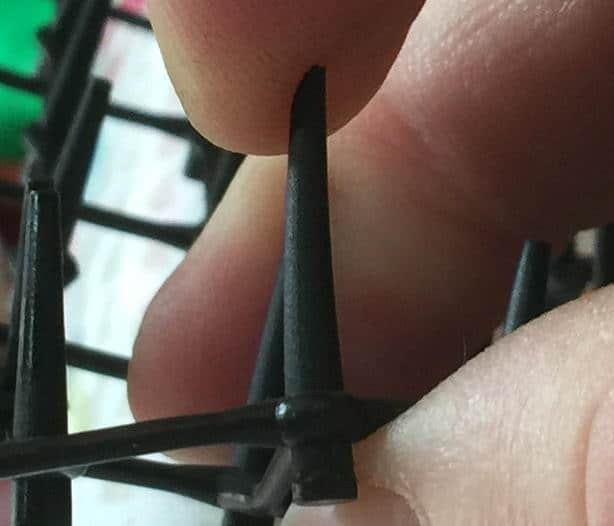 If the Prickle Strip was sold in loose sheets at your local garden centre then maybe they might have had a chance but because it comes rolled up there is no way the supplied pegs are going to hold it so order some tent pegs should you decide to buy it. I found 8 decent tent pegs per length was enough to hold it nice and flat. The problem with recommending any of the ultra sonic cat deterrents on the market is that just because it worked on the cats in my neighbourhood doesn’t mean it is going to be the answer to all gardeners prayers. A cats hearing changes as it gets older for example so while the noise those machines give out might be an extremely annoying screech for the cats I witness setting one off, it may be nothing more than a faint buzz to the cat another gardener is trying to keep out of their back yard! With something like the Prickle Strip though I have no such worries because as long as it is fixed firmly to the ground there is no way a cat is going to be able to dig in the ground on which you have placed it. 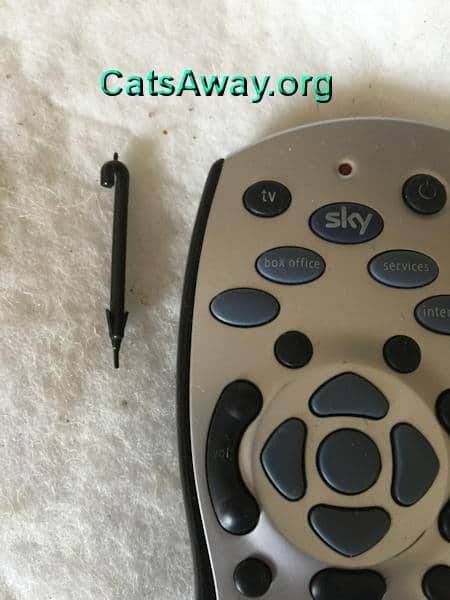 It should also be uncomfortable enough for all but the most determined cat to walk on so it would be ideal for fixing on shed roofs if cats use it as an entry point. With around 100 buyers giving Prickle Strip an average score of 4.5 out of 5 on Amazon UK it looks like I’m not the only gardener to think Defender have another winning cat deterrent.